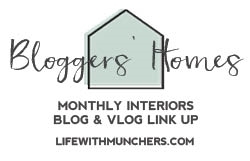 When I first started blogging I joined in with a series called Little Legacy, created by Penny (Parentshaped) as way of sharing the little things that helped her remember her mum and the legacy of her in present day. As I had lost my mum a couple of years previously too I found it such a helpful way of working through my grief. Due to their personal nature I didn’t bring many of these posts over with me to this blog, but if you do a search a couple may pop up. During our weekend away in the Peak District at Sandybrook I was reminded of so many little ways my mum influenced my life and in turn my children’s lives. While in her home county I felt it was important to share a few little legacies with my girls. I’m fully aware of the self indulgent nature to this post, but I hope you enjoy it and it helps you think of the little legacies in your own life gifted from previous generations. Bakewell is a town I remember going to every time we’d stay at my Grandma’s house in Darley Dale. Whether it was scouring the market for bargains, wandering around the shops or just calling in on the way back from a walk in the Dales. When visiting with my girls I enjoyed pointing out shops and places I’d go to as a child and of course I shared with them the joys of the Bakewell pudding (not tart!). We came across an old fashioned sweet shop packed floor to ceiling with huge jars of sweets. My girls paced back and forth trying to decide just which to choose. I remember coming to places just like it as a child, clutching coins in my sweaty palm desperate to swap them for striped paper bags bulging with treats. My mum would treat herself to a few coconut mushrooms while I had as many different kinds of sweets as I could manage! When buying our Bakewell Pudding I also picked up some oatcakes. I’d not seen these in years and have strong memories of being sent down the road to the butcher to buy oatcakes and bacon for our cooked breakfasts. My Grandma would treat us to a cooked breakfast whenever we stayed with her, it was one of the highlights of any trip to see her, that’s for sure! We scattered my mum’s ashes in Monsal Dale ten years ago. My eldest was only a few months old, so of course doesn’t remember but we’ve talked about it together and she’s always wanted to go back and see it. On the other hand trying to explain the concept of ‘scattering ashes’ to my seven year old was a tricky conversation that’s for sure! It was a rather muddy walk to get to the right place but I’m so pleased we did it. Of course it was a rather emotional time for me but my little family were right there with me. When we go to Derbyshire again I’ll be taking my girls to Matlock to visit family, as well as exploring some of the beautiful stately homes that we’re closed such as Chatsworth House and Haddon Hall. Giving my girls a sense of their history and heritage is so important to me. It does make me sad that there are no women in the generations before mine, but it’s in ways like this that I can keep their memory alive. Thankfully my daughters love learning about their Grandmother and Great Grandmother and Great Aunts and it makes me so happy to see the strength (and stubborness!) they’ve inherited from them. Do you have Little Legacies that you can spot in your own life? I don’t stand a huge amount of stock to these kinds of things but I’d say that’s pretty accurate. When I had my first baby at 23 I had no idea what kind of mum I’d be. Thrown into motherhood half way through university, I felt vastly under prepared for the task. I wasn’t planning on having children until my thirties, after all that’s when my mum had me. I found having a child in your early twenties a disorienting experience. No one really knows where to put you. I wasn’t in the young teen mum category but then I also wasn’t a career first then children mum either. I didn’t fit in at baby groups and felt like I was always having to justify myself as a parent. Adding to that losing my mum soon afterwards meant that not only did I have to prove myself I also had to go it alone and forge my path without the oversight of my own maternal figure. All of this has shaped me into the mum I am now. Now I’m in my thirties and my children are older I no longer feel the need to prove myself as a good mum. Like the ‘Lion Mum’ persona I guess you could say that I fight for my children in that I want to show them they are important and have a valid and unique voice. I don’t want to hand things to them on a plate but give them room to grow and a chance to learn for themselves and show them that tough times are just opportunities to learn. I don’t know if I’m the kind of mum I thought I would end up being when I first held my newborn baby. Of course I’m much more of a shouty mum than I ever thought I’d be, but then again I don’t think I’d anticipated just how long it takes to get out of the door in the morning with children! My children are now seven and ten, and I’m super proud of them, and I know it’s not the done thing to say this but I am actually proud of myself too. I had a rocky start to motherhood but we got through it. I’m not a perfect mum by any means but I am the perfect mum for my girls. I’ll never stop learning from them and growing and I hope they will one day say the same. If you’re a mum, what kind of mum do you think you are? If you take the test put together by SunLife then let me know what you got, What Type Of Mum Are You? and don’t worry you don’t have to give your email address to get the answer or anything silly like that! I’d love to find out what the others are. When my youngest girl was little we’d make regular trips to the local garden centre, in fact this became one of her favourite places to go. We’d have a wander around and always end up in the aquarium section. She’d stare at the fish for ages, pointing at all the different ones and chattering away about them. Even now when we pop in it’s the first bit both of my girls head over to. I think there is something rather calming about watching the fish swim around. There’s often been talk in our family of getting a pet, with my youngest continuing to faithfully raise the idea of getting fish, no surprises there! We would agreed in principle but life gets busy and it ended up being just another thing on a long list we hadn’t got around to doing anything about. A couple of months ago I was offered the fish tank – Tetra Cascade Globe – to try out. I knew then that it could be the perfect chance to get those little fish we’d been wondering about. As you can see it’s a rather stylish looking fish tank, with a waterfall effect. It’s also rather small so doesn’t need a lot of space. Now I’ve never had fish, and neither has my husband, so all of this is completely new to me. I’m no expert, obviously, so if you have any fish related questions I’ll do my best to answer them. You’d be much better off having a chat with someone at your local pet shop, which is exactly what I did before we even got the tank set up! I was advised to set up the tank and fill it, letting it run and settle for a least three days before introducing any fish. I generally found it really simple to set up though initially had problems fitting the filter motor. After a quick internet search I found that this wasn’t a common problem so I added in a little more brute force and the two bits slotted together – crisis averted! We did have one issue though, there should be a transparent piece of plastic that fits to the top of the waterfall. This eases the water in and stops it being so noisy and disturbing. Unfortunately, I rather efficiently got rid of all the packaging and missed this bit in amongst it. While at the pet store we picked up black aquarium gravel for the bottom of the tank as well as a small pretend plant and a rock. After rinsing the bowl, which is removable, and then the gravel we filled the bowl with cold water and turned on the pump. We started to hear a funny buzzing noise (a bit like a broken toilet!) and soon realised we needed to fill it higher to make sure the motor was submerged – it advises this in the instructions that I’d neglected to read! I’d suggest filling it all the way up and leaving just about an inch at the top, this also quietens the sound of the waterfall as the water doesn’t have as far to drop. There is no water heater as this is a cold water tank, so not a home for tropical fish! It’s also worth noting that this is a rather small tank so it’s really important to ask advice as to which fish are suitable. Don’t let your kids get their heart set on one kind of fish only to find out that they are too big for the tank. It makes for rather awkward conversations and tears in the middle of a pet store with a rather bemused and apologetic shop assistant. Not that I’m speaking from experience at all….. After chatting with the pet shop adviser about our actual options we chose two Danios. Another great option for this tank would be cloud mountain minnows. Introducing Luna and Moony! The Harry Potter fans among you will probably recognise the names, with both my girls being huge HP fans it was inevitable really. As these little fish are white – though in such a white home they look more of a peachy colour, they opted for Luna (Luna Lovegood) and Moony (the nickname of Professor Lupin). We’ve had this tank and our new additions for a couple of weeks now and they’ve settled in so well. The girls are in the routine of feeding them a pinch of fish food a day. We’ve been sure to order additional filters, as these need replacing every 3-4 weeks. I’ve got used to the noise of the water now and in it’s home in the kitchen it’s hardly noticeable, and actually when the house is quiet I enjoy hearing the sound of running water. If you’re looking for a stylish tank and something small and manageable then this is a good option. As I mentioned earlier it’s worth noting that because it is so small you are limited on the fish you can get for it. We’re really happy with ours and I think Luna and Moony are pretty happy with their new home too. This is written in collaboration with Tetra UK who gifted us this tank for the purpose of this review. As always all content and opinions are my own.